True freedom is where an individual's thoughts and actions are in alignment with that which is true, correct, and of honor - no matter the personal price. 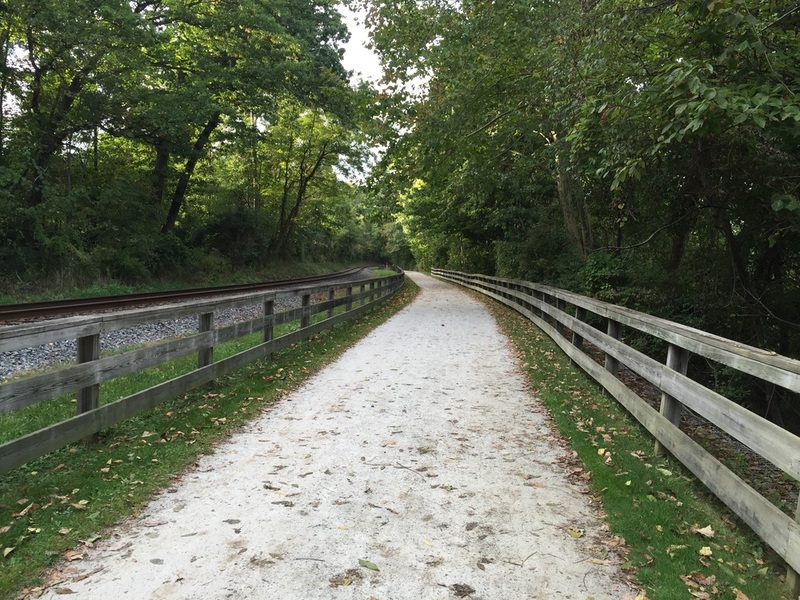 Sunday, I spent nine miles of bike trail searching for something. I'm not sure when I lost it, but its absence weighs heavily on my soul as of late. Every rivet, curve, hill, swarm of gnats, and spider web I hit brought me closer to the realization that I not only lost something, but I was lost myself. I started off this summer wanting to accomplish a lengthy list of projects that pushed me to my limits. I had high hopes for myself and just knew where I wanted to be at the end of it. Not only did I not complete even a quarter of that list, I also completely lost sight of that plan. Instead, I spent a lot of time being completely and utterly unproductive. Some excuses were legitimate. I made new friends, dated, helped with various projects, and broadened my professional circle. But, I also spent a lot of time with my head in various social media networks. I used a lot of my time unconsciously distracting myself. I could probably write a dissertation as to why, but I won't. It isn't worth it and will only bring me down. So, I'm going to view that segment of my life as a season and now that season has come to an end. It is time to start anew. Autumn has always been the one time of year when I felt most like myself. There's something both sad and romantic about it all. The cooler weather slows us down and makes the present more palpable. It eases us into the stark realities of Winter while filling our lives with things that bring us closer to others. The one good thing about losing sight of the plan that I crafted was the fact that it helped me clarify what I wanted out of my life. That's why I titled this post "Connect. Create. Inspire." Connect. I want to connect with like-minded individuals as well as connecting them to other people or places that could add to their lives. Create. I want to learn to hone my creativity and settle my anxious/distracted mind. Boosting my productivity will become one of my major goals in the coming months. Inspire. I want to continue to bring positivity into this world. I want to inspire young people - especially those who look like me. I want to show them that there is more than just the conventional path. It is time to align and I believe I've reached a place in my life where I'm able to adequately do so.